Formed in 2011, the self-described “accidental brass quartet” take their name from the prevailing winds from the West to the East. “Skilled interpreters who are also adept improvisers” (NPR’s Fresh Air), The Westerlies explore jazz, roots, and chamber music influences to create the rarest of hybrids: music that is both folk-like and composerly, lovely and intellectually rigorous” (NPR Music). 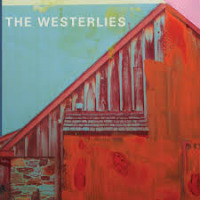 Equally at home in concert halls and living rooms, The Westerlies navigate a wide array of venues with the precision of a string quartet, the audacity of a rock band, and the charm of a family sing-along. The Westerlies’ four members were childhood friends and sometime musical rivals in their hometown of Seattle – they regularly competed against each other in regional competitions. Each member independently moved to New York City, which led to the old friends reconnecting and performing together. Since their inception, The Westerlies have shared the stage with such diverse acts as Radiolab, Bill Frisell, Vieux Farka Toure, and Juilliard Dance. The Westerlies are currently performing in support of their self-titled sophomore album, which features original music by each member of the ensemble captured in vivid detail by GRAMMY-winning producer Jesse Lewis (Roomful of Teeth, Brooklyn Rider, Silk Road Ensemble with Yo-Yo Ma, LA Phil). The group discovered Jesse through his discography, but as luck would have it, he attended the same Seattle high school as three of The Westerlies’ members. The connection between the five of them was immediate and deep, and the collaborative recording process reflects the democratic nature of The Westerlies and pushes the sonic limits of the brass quartet instrumentation. 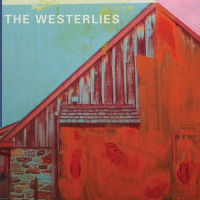 Much of the music was composed over the course of two residencies in the summer of 2015, then recorded at The Farm Studio (a painting of which is on the album’s cover) in West Chester, PA. 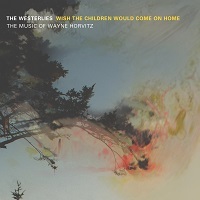 Following their critically acclaimed debut album Wish the Children Would Come On Home: The Music of Wayne Horvitz, this is a boldly personal set of music that is equally virtuosic and vulnerable. The Westerlies perform without sheet music, allowing a direct connection to the audience that is all too rare in the chamber music world. This is no homogenous chamber group, unified in its allegiance to the wishes of a composer. Every piece of music touched by The Westerlies reflects the unique sensibilities and personalities of these four individuals, in all their strengths and quirks. Their music exudes the warmth of their longstanding friendships and reflects the broad interests of the band members. All About Jazz musician pages are maintained by musicians, publicists and trusted members like you. Interested? Tell us why you would like to improve the The Westerlies musician page.